Throughout the history of Calvert Education, we have found that one feeling that can sabotage homeschool success is DOUBT. As a homeschool parent, or even as a parent in general, when doubt creeps into your mind, it is important to address it head-on. Doubt can invade your thoughts and slowly decrease your confidence in your ability to homeschool. Questions such as: Why can’t I be a better homeschool parent? Did I make the wrong choice? Am I doing enough? and Am I ruining my child’s future? are normal speculation for homeschooling parents. On the positive side, these questions can encourage reflection and improvement. However, when these uncertainties cause you to second-guess yourself on a regular basis or cast a shadow over your daily interactions with your children, it’s time to take a step back and act. Read our suggestions, below, for dealing with doubt in the homeschool and let us know if you have additional suggestions! Doubt often arises when you’ve spent time with family or friends. Uncertainty can also appear after interacting with a child the same age as yours or after you’ve read a news article about another student. Do not waste your energy comparing your child to others. Your child has skills, talents, interests, and hobbies that are unique to him/her. Focus on your own child’s successes and growth, academically, emotionally, physically, and as a well-adjusted, happy individual. Journaling can help put homeschooling fears into perspective. Doubt often stems from fear. If your conviction and faith in your abilities are wavering, take some time to write a list of your specific fears associated with your child’s education. Some examples might include, I’m afraid I won’t be disciplined enough, I’m afraid my child won’t get into college, and I’m afraid I will lose my patience. 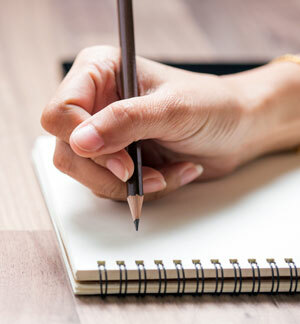 Putting your fears on paper can bring them to the surface and help you acknowledge them, and this process can also bring about a sense of peace. Once your worries are on paper, take a moment to examine them. Which are real, valid concerns and which are manufactured by your mind as self-created obstacles? Which fears are based on others’ opinions? Which matters can you address now and which are related to events in the future? Keep a copy of your list of fears. When you’re feeling anxiety, consider the list again, and identify the fear linked to your current concern. Then address it, perhaps with the help of others and/or with the aid of some of the suggestions below. Regularly update your list of fears, adding to it as needed and crossing off those that are no longer relevant. Nothing can sabotage a homeschool parent more than expecting yourself to be perfect. Remember, every parent makes mistakes along the way. What’s important is to learn from your mistakes and adjust accordingly to avoid similar missteps in the future. Doubts can arise from judging yourself too harshly. Every homeschool family experiences some bumps along the homeschooling road and no parent has a “perfect” homeschool year (or month or week or even day!) Take it easy on yourself! Understanding the root causes of your doubts will prepare you to deal with them more effectively in the future. Put academics aside for a moment and take some time to examine your child’s personal growth. Is she/he doing better at following household rules? Has she/ he become more independent? Has your child learned new skills such as organization, cooking or baking, gardening, or child or pet care? Is your child happier in a more flexible environment that allows time for exploration of personal interests and hobbies? Homeschooling is not just about academics. As a homeschool parent, your goal is to not only educate your children but to also enable them to become self-sufficient, caring, trusted, and well-rounded individuals. When a doubt begins to rear its ugly head, evaluate not only academic progress, but also your child’s individual personal growth and development, and the well-being of the family as a whole. Objectively review your child’s school progress. Is he or she on track? Consider past lessons and assignments and reread essays and projects. Note the changes in your child’s work quality, understanding of topics, and motivation, attention span, and initiative. Do you see positive strides? Periodically reviewing your child’s school work from last year, or even earlier years, is a great way to visualize his/ her progress and help squash any doubts about your child’s academic performance. Don’t forget to objectively review your own progress as a homeschool parent. Are you more organized than when you began homeschooling? Are you better able to juggle household schedules and tasks when combined with the demands of home education? Are you better able to deal with behavioral issues in the homeschool? It is important to measure your own progress and give yourself a pat on the back for a job well done! Doubt can often arise when you’re too busy or stressed. Are you trying to do too much right now? Have you taken on too many commitments? Is your child involved in too many activities or is your social schedule too busy? Remember that everyone needs some downtime, children included. Cut back on some of your extra activities and focus on what is required. Slowing the pace for a few weeks, or even a few months, will allow you to refresh and renew, then subsequently refocus in a positive way. Don’t forget to reach out for help! Connect with a local homeschool family. All homeschool families have experienced bouts of uncertainty and worry. Most homeschool parents will understand the feelings you’re experiencing and they may have suggestions to help you get through this period of doubt. If not, just knowing you can confide in someone who understands is often enough to turn things around. Call Calvert’s Education Counselors for assistance. Our counselors are always willing to help you review your child’s academic progress and to offer scheduling and teaching tips. You just may find that our counselors are your biggest cheerleaders. We love to support and inspire successful homeschool families! Finally, don’t forget to join our Calvert Homeschool Families Facebook group where you can interact with and support families around the world. We can’t guarantee that doubts won’t creep into your mind from time to time. When that happens, try to review the above tips. Understanding the root causes of your doubts will prepare you to deal with them more effectively in the future. Remember that your children are learning and growing every single day. If you need assistance with planning your homeschool schedule or help with teaching concepts or strategies, please do not hesitate to contact our team of experienced Education Counselors. Call us at: 1-888-487-4652 (option 2).